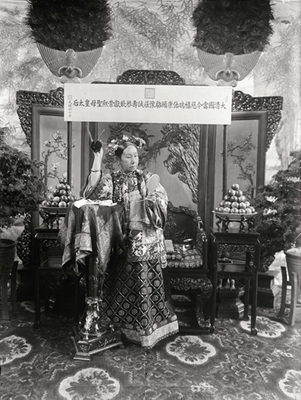 Formal portrait of Empress Dowager Cixi posing as Guanyin. Forbidden City, Beijing. B/W Photo.